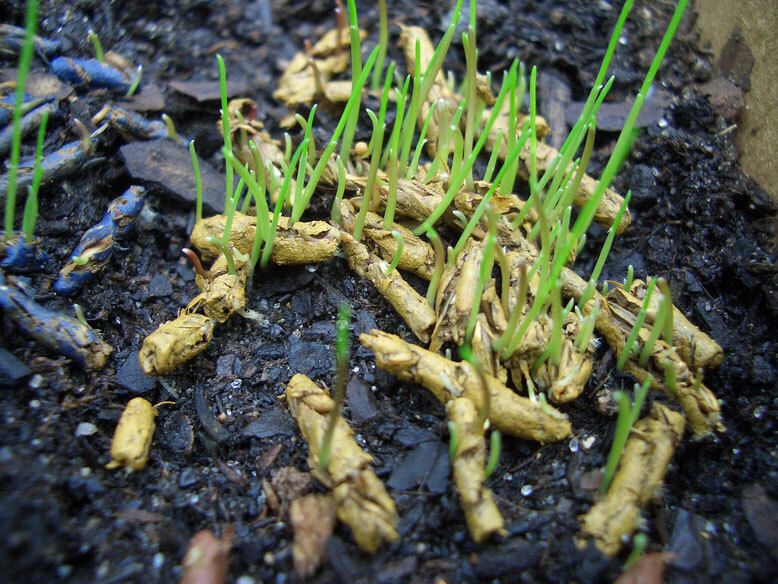 Clay is the natural basis for the most fertile soils on earth - clay contains everything the plant needs to generate a healthy germ with many and strong roots from the early beginning of germination. 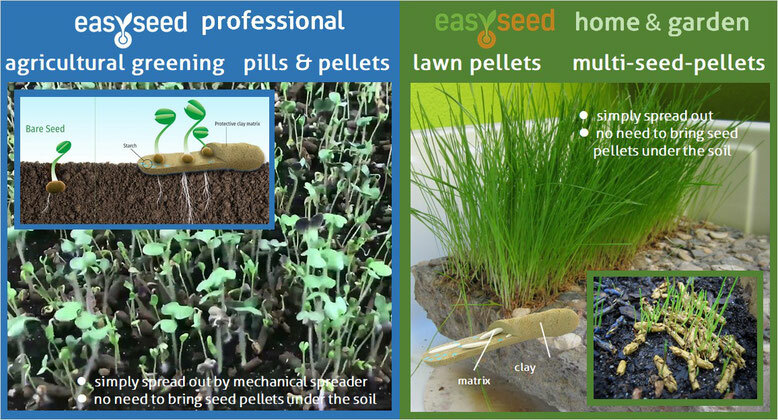 Clay, together with the mycorrhizae as an usual soil ingredient, also forms the ideal nutrient ‘highway’; for a perfect supply of the plant, so that in the early stages of germination and growth all the prerequisites for a high-yielding plant can be created. 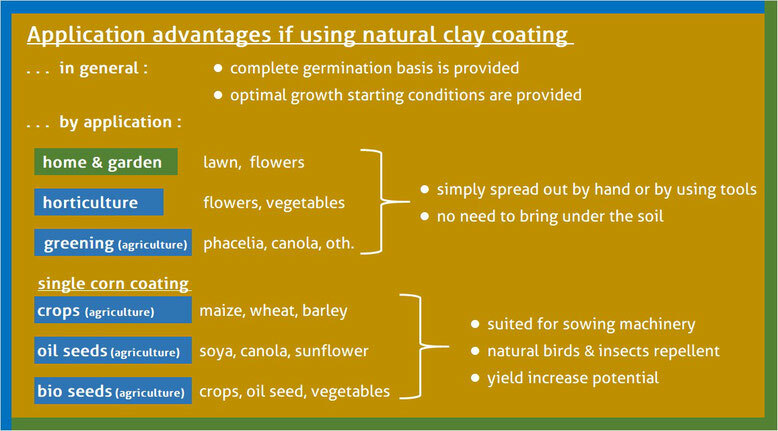 The clay can be enriched with other natural or artificial additives to enhance certain effects, e. g. an effective insect or bird repellent. The clay itself, however, is already perceived by insects and birds as soil and is the suited way for a natural protection of the seeds. The coating technology up to now was available for lawn only - now it is available also for flowers and herbs in your home, your garden or your environment. 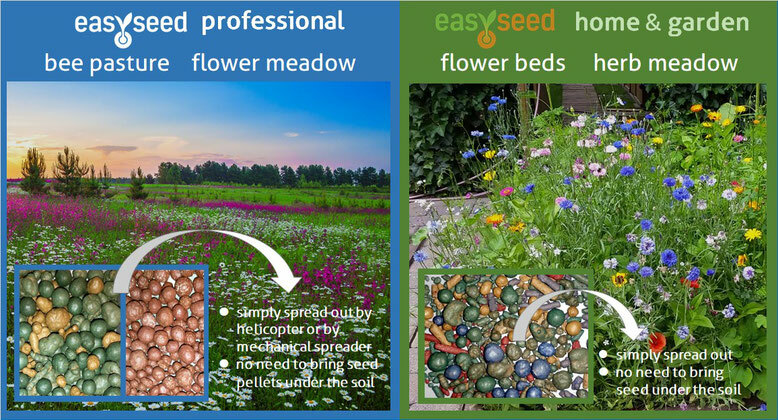 applying the new and natural coating technology for flower seeds - independent from the size or shape of the seeds - the flower seeds easily can be spread out onto the soil or into an existing flower, lawn or herb arrangement to be renewed, repaired or enhanced. The same for parks or for green areas in the municipal, for pastures and meadows in the agriculture. 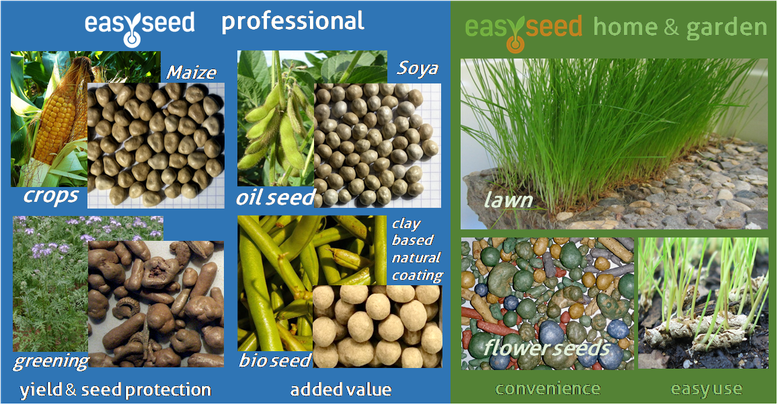 Main advantage: simply spread out onto the soil - and that’s it: the seeds will germinate and grow perfect as if they are under the soil and in the right depth. 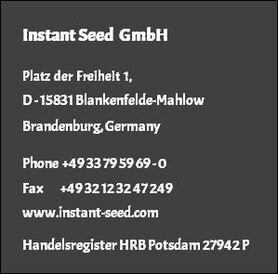 The instant seed coating technology not requires anymore specific knowledge from the horticulturist or from the gardener about the right depth of the seeds for optimium germination and about growth supporters : the seed pellets contain the complete knowhow already - simply spread out, do the watering and enjoy! And the whole case with natural ingredients - completely without chemistry! Soybean seed coating today is a time critical and logistically challenging process. 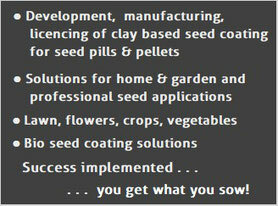 The main components pesticides, fungicides and often bacteria too have to be sown resp. brought into th soil in the next 2 days after the coating, preferably even in the next 24 hours after the coating. 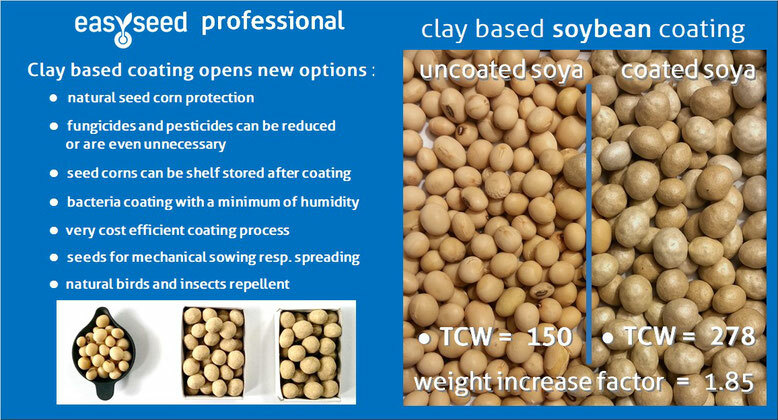 The clay based soybean coating developed by instant seed opens the option to store coated seeds for days or weeks on a shelf ; planability for the whole sowing process now is given - and the clay matrix additionally adds the positive effects know from clay application: a paradigm change in soybean sowing.